Rev. 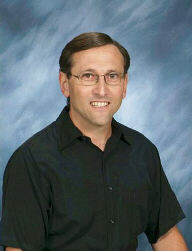 Dr. David Rollins serves as Pastor and Head of Staff. He accepted the call to Bayside Presbyterian Church in August 2010. David came to Bayside from Westminster Presbyterian Church in Decatur, Alabama, where he served for 9 1/2 years as the Pastor/Head of Staff. Prior to serving in Alabama, David served as an Associate Pastor at Covenant Presbyterian in Augusta, Georgia. David is a people person who cherishes many aspects of ministry but especially enjoys preaching and pastoral care. David received his Bachelor of Arts degree from Indiana University majoring in Philosophy. During his senior year in college, David applied and was accepted to Columbia Theological Seminary where he received his Master of Divinity degree, and where he met his wife Libby McIntosh Rollins. David returned to school in 2006 to begin his doctoral studies. His doctoral work focused on grief and loss as well as church leadership. David received his Doctor of Ministry degree in 2008. David and Libby were married shortly after their graduation from Columbia Theological Seminary in 1997. During their time in Alabama, they were blessed with a son. David is active in the local community coaching little league baseball and in the wider church serving on the Presbytery of Eastern Virginia’s Commission on Ministry. Libby specializes in transitional ministry and has been serving as an Interim Minister for over 14 years. Rev. Emma Lee Ouellette grew up in Allen Park, Michigan (suburb of Detroit). After high school she went to a small liberal arts college, Alma College (Alma, MI), and majored in Communications and Sociology. She then moved to Decatur, GA to attend Columbia Theological Seminary and earned an MDiv in 2011.
year as Youth Director) and First Presbyterian Church of Northville (just over four years as Associate Pastor). While in Detroit Presbytery, Emma had the pleasure of serving on the Committee of Preparations for Ministry. ​Emma is very close with her family, which consists of her parents (Chuck and Judy), her sister and brother-in-law (Mary and Pat), and her fur-baby Ziggy. Contact Emma by calling the church office (757-460-1188) or by email eouellette@baysidepresby.org. 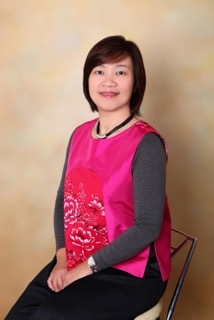 Chi Yi Chen Wolbrink, Director of Music Ministry, was born in Tainan, Taiwan. Chi Yi earned a degree in piano performance from Tainan Theological Seminary and College and a Masters of Music in Choral Conducting from Westminster Choir College in Princeton, New Jersey. Recently, Chi Yi served on the Presbyterian Committee of Congregational Songs, which produced the Glory to God hymnal. After 11 years as a Choral Associate at Princeton Theological Seminary, Chi Yi married Jeffrey Wolbrink and moved to Portsmouth, Virginia. Jeff has a degree in Mechanical Engineering from ODU and works in the Navy ship overhaul and repair industry. Before joining Bayside Presbyterian Church, Chi Yi served as the Music Director and Organist at Monumental United Methodist Church in Portsmouth. Chi Yi has presented workshops on global church music in numerous conferences and directed the choirs at Princeton Theological Seminary and the New York City Formosa Choir. She remains active as a piano soloist and accompanist for many major works in the choral repertoire and is featured on multiple recordings. Chi Yi loves to cook and share recipes and enjoys bike rides with Jeff. Lacy Schimmel, Director of Youth & Family Outreach, was born and raised in Green Bay, WI. She is a graduate of Carroll University in Waukesha, WI, where she studied Exercise Science and Psychology. Lacy loves people and has a passion for working with youth. Before coming to Bayside, Lacy participated in the Young Adult Volunteer (YAV) Program which took her to Chinook, MT. While in the YAV program, she had the opportunity to work with children ranging in ages from preschool through high school. She also worked with seniors at the local senior center and nursing home. Lacy is an avid Packers fan and enjoys snowboarding, fishing and hanging out on the water. She enjoys country music, but recently began to develop a deeper appreciation for Contemporary Christian music. Her fur baby Amaya, a 4 year old pointer mix rescue, has become a great fan of the waves at the ocean. Lacy can be reached at lschimmel@baysidepresby.org. 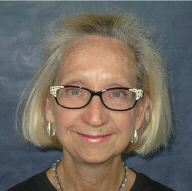 Kathy Armstrong serves as the Director of Bayside Presbyterian Preschool. Kathy graduated from Old Dominion University with a B.S. in Biology and later returned to ODU earning a teaching certification for grades 4-8 with an emphasis in math and science. 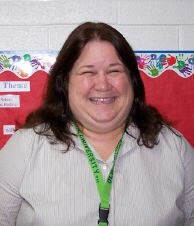 Kathy began teaching at the Preschool in 1994 and became the Director in June of 2005. Kathy and her husband, Bill, have three children (Bobby, Bay and Laura) who all attended Bayside Preschool. She enjoys reading, walking, spending time with her family and friends and most of all being with the wonderful children in our preschool. Kathy can be reached at preschool@baysidepresby.org. Saul Fox is the Contemporary Music Director. Saul earned his Bachelor of Music in Voice Performance from Shenandoah Conservatory of Music in Winchester, Virginia, followed by a Master of Music in Voice Pedagogy from Catholic University in Washington, D.C. Saul runs his own business, Fox Music. 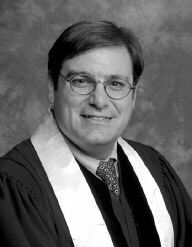 He has more than 30 years of private teaching experience and is an Instructor of Voice at Christopher Newport University. In addition to serving as our Praise Team Leader, Saul is also the Minister of Music at Brook Baptist Church, writes and performs his own music, and has sung leading roles with the Virginia Opera, the Virginia Beach Symphony, the Tidewater Winds and many other professional and community groups. Saul and his wife , Lindley, have three children: Wesley 23, Dylan 22, and Eden 17. Saul can be reached by email at saul.fox@gmail.com. 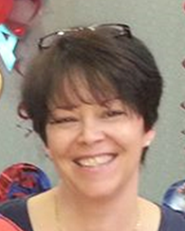 Linda Vogl began her position as Administrative Assistant in early 2015. Linda and her husband, Robert (who is a Lutheran Minister) are originally from Chicago, Illinois. They also lived in Orlando, Florida, Virginia Beach, Virginia, and most recently Staten Island, New York, before moving back to Virginia. They have one daughter, Sarah, who is attending Roanoke College in Salem, Virginia, studying the history of religion and graphic design – two of her passions. Linda is the youngest of five (one brother and 3 sisters) who are scattered between Chicago, Virginia and Florida. She enjoys paper crafting, reading and spending quality time with her family and miniature Schnauzer, Nicky. Linda admits she tends to be on the quiet side until becoming more comfortable with her surroundings and then her dry/weird sense of humor is revealed. You can email Linda at lvogl@baysidepresby.org. 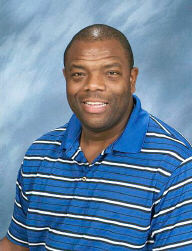 Eugune Towler, the Building Superintendent at Bayside, is a native of Virginia Beach. He spent 4½ years in the Air Force as a law enforcement specialist. After leaving the military, Eugene served as an Assistant Director of Environmental Services at Westminster Canterbury for 8 years and as Director of Environmental Services at the Virginia Beach Health Care Center for 9 years. During that time, he also worked at Bayside Presbyterian Church part-time in the evenings. Eugene became a full-time employee at Bayside in April of 2010. You can contact Eugene at etowler@baysidepresby.org. David Black works maintenance in the evenings. During the day, David works in the body shop at Priority Toyota dealership. He and his fiancée, Chelsea, are the proud parents of a 3-year-old boy named David. Luanne Wong, Treasurer, assisted with the treasurer’s position for approximately 5 years before taking over the position in 2014. Luanne and her husband, Dr. George Wong, have two children, Wai and Shelly, who are both attorneys, and two sheltie dogs. After graduating with a degree in nursing from the Medical College of Virginia, Luanne spent several years practicing before retiring to raise her children. Luanne also has a small business making beautiful, unique jewelry.